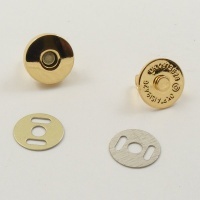 These are useful little magnetic studs, ideal for using to close handbags and cases. 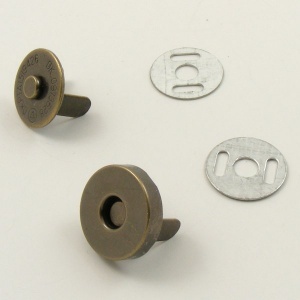 They have an antiqued brass surface finish, which goes well with many natural colours of leather and fabric. 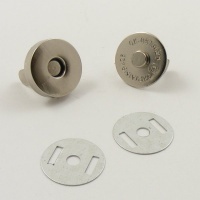 This is a pack of 5 magnetic poppers in the smaller of our two sizes. 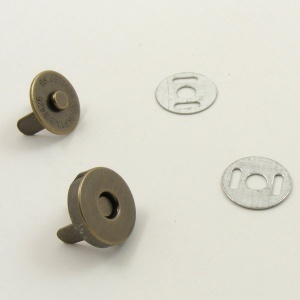 They measure just under 5/8" (15mm) across and the 2 prongs on the back are 8mm apart.